Excuse my wrinkly hand... =/ With this brush, I'm able to draw thin to thick lines and it's easy to control if I want it to go on lightly or heavily. The ink goes on smoothly and dries fast. I especially love it for it's brown colour as it's less harsh. As I have to draw quite a thick line in order for it to be visible, brown looks way more natural. Love it! 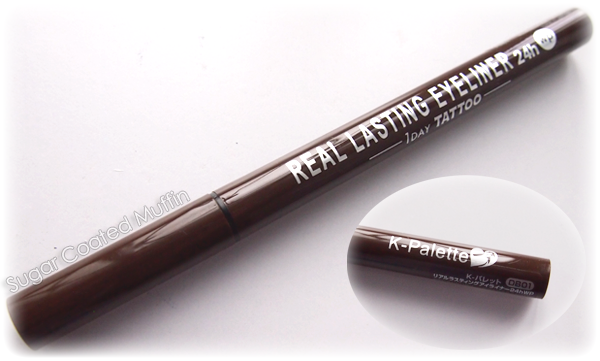 There aren't as many brown eyeliners in the market compared to black so this is a good product to buy (RM 59.90). ** I did not buy the product. However, this has not affected my thoughts on the product in any way. i have one similar to this and I really like the brown! It isn't as dramatic as black. Oooh brown!! :D I love brown liners more than black these days. 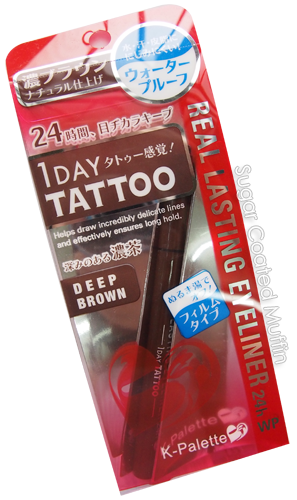 what brown liners have you tried? Really like the color and finish of this...I have like you easier access to this brand here in singapore! 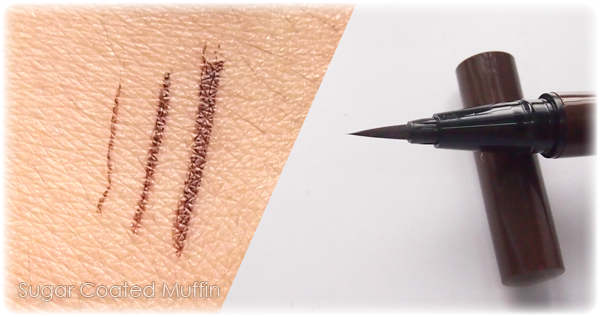 I really have heard nothing but good reviews, am looking for other eyeliner brands to try from, thanks for reviewing! Yesss! 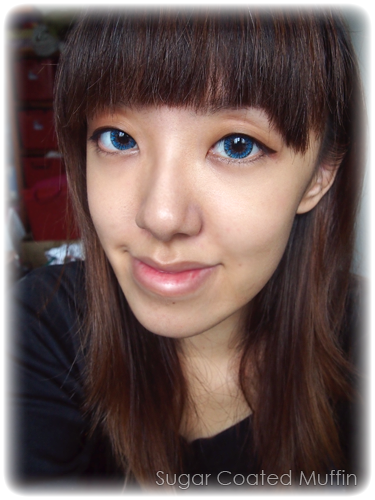 Seriously lacking in brown eyeliners. Beauty companies need to make more brown ones!